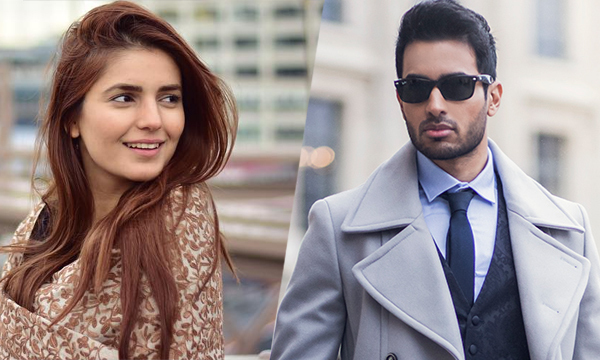 Momina Mustehsan & French Pop Sensation Abbas Hasan Team Up For A Dreamy Love Song? Looks like Momina Mustehsan is on a roll and set to break the internet once again! First, she teams up with Rahat Fateh Ali Khan in Coke Studio’s Afreen Afreen and steals the show. Then she shuts social media haters like a pro and breaks hearts like a boss with her engagement! What’s next? Well, rumour has its that she’s collaborating with the French Pop sensation, Abbas Hasan for a duet. Engineer and Mathematician by profession and Musician by passion, is there anything Momina can not do? This girl is clearly unstoppable. Abbas Hasan,on the other hand, is already making waves across the globe. Best known as the French heartthrob of the Asian music scene, he is just as unstoppable himself. According to a recent press release the two have been working together on a new song, most likely to be titled ‘Na Janoon’. In true Abbas Hasan style, the song is meant to be a “dreamy love song” duet between the two, And since French is considered the official language of love, the song is also said to feature the diva singing some verses in French. Now wouldn’t that be a treat? Abbas Hasan has earlier collaborated with Humaima Malick and Armeena Khan. If this is true, we cannot wait to see the magic these two super hot music sensations are capable of creating! Stay tuned for more news and updates! Next article10 Times Pakistani Celebs’ Instagram Posts Left Us Craving For Food! Entertainment Blogger with a Twisted Sense of Humour.